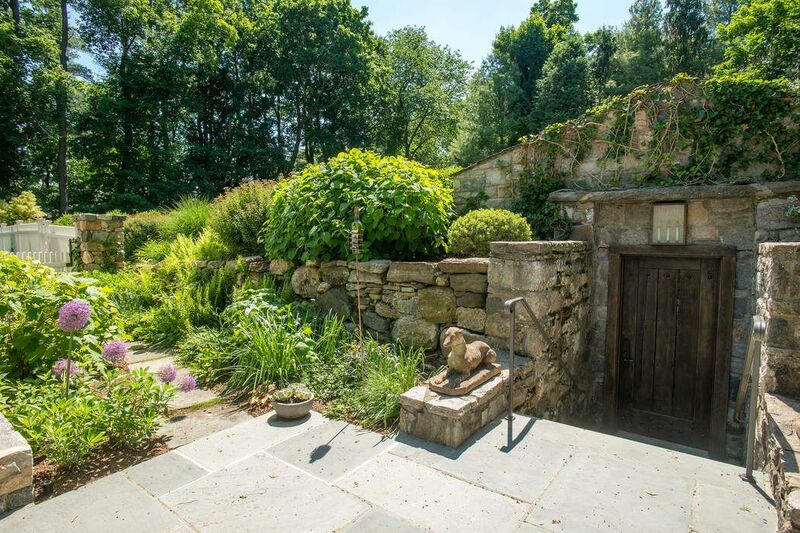 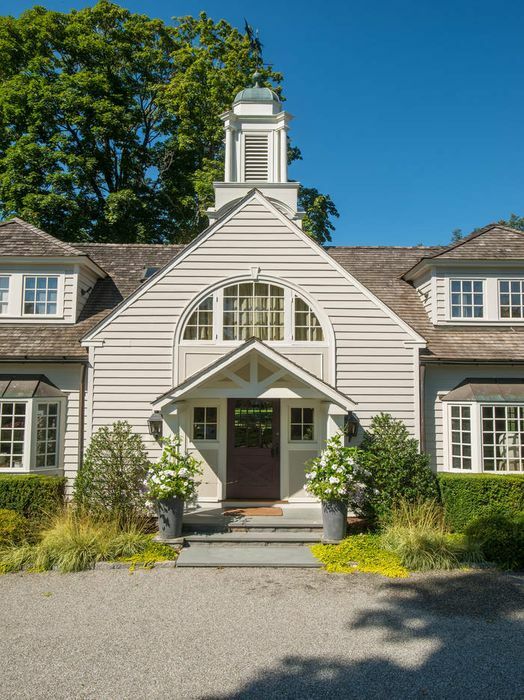 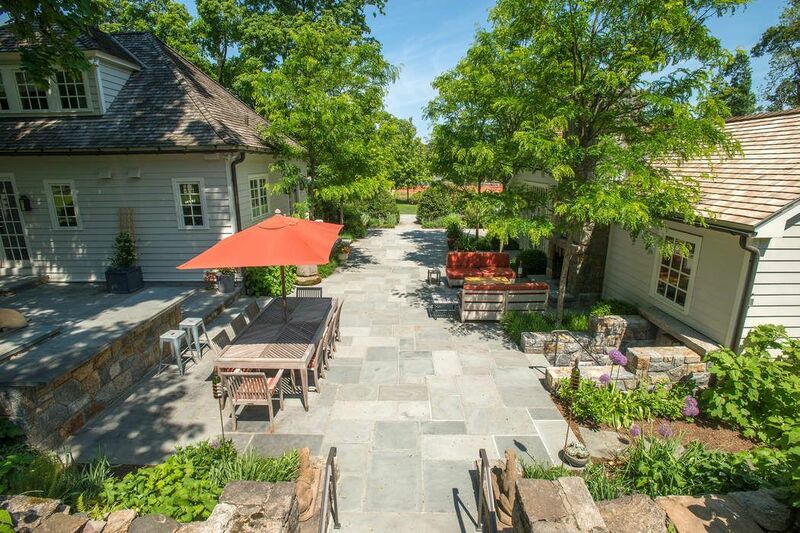 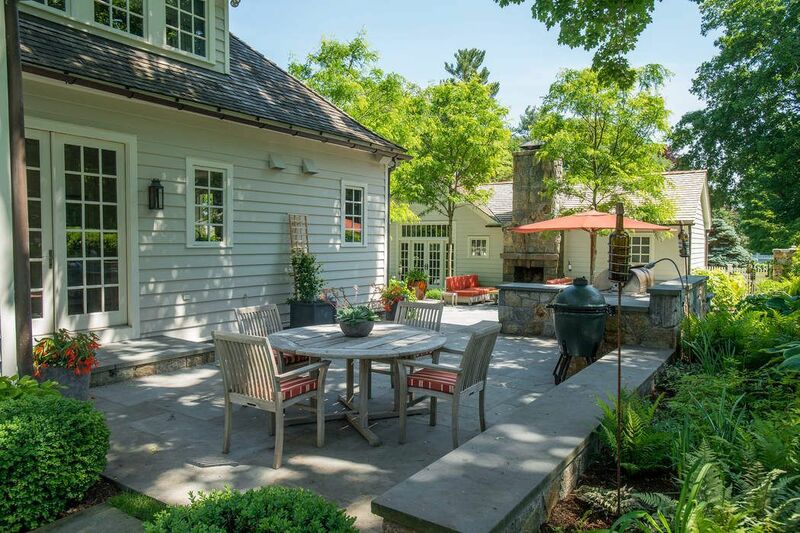 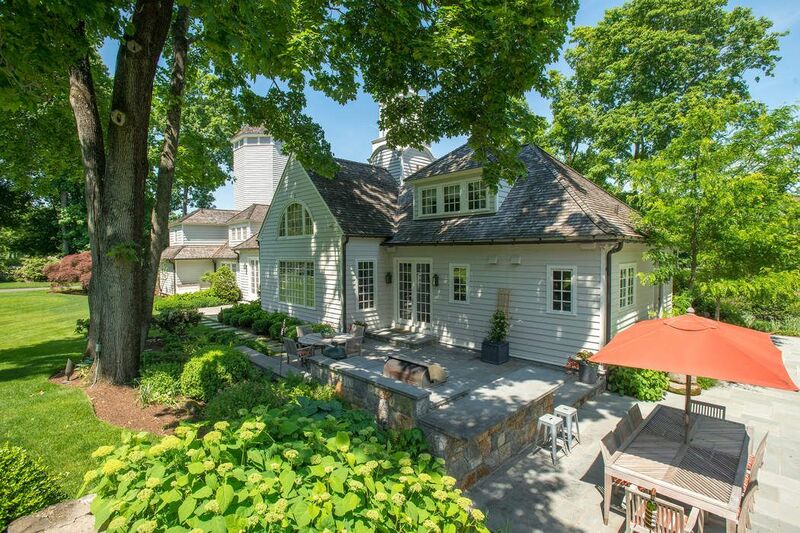 8 Mountain Wood Drive, Greenwich, CT 06830 | Sotheby's International Realty, Inc.
Charming, updated and expanded vintage carriage house on a private Mid-Country cul-de-sac. 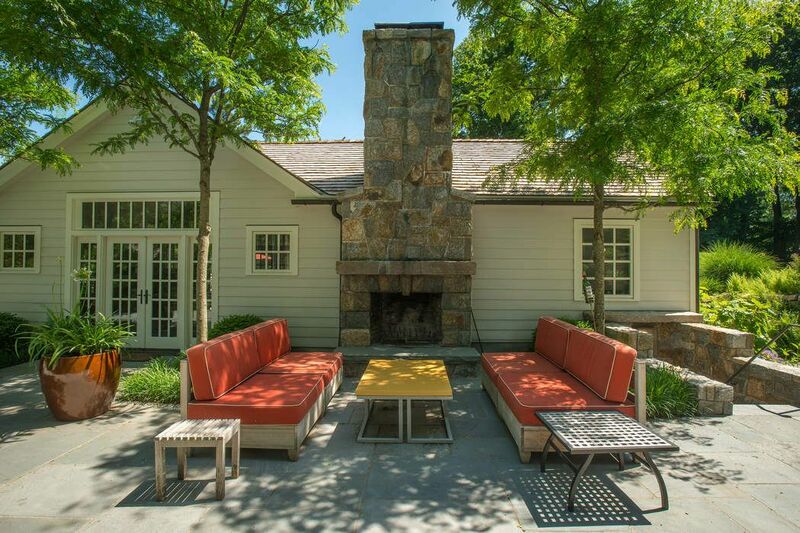 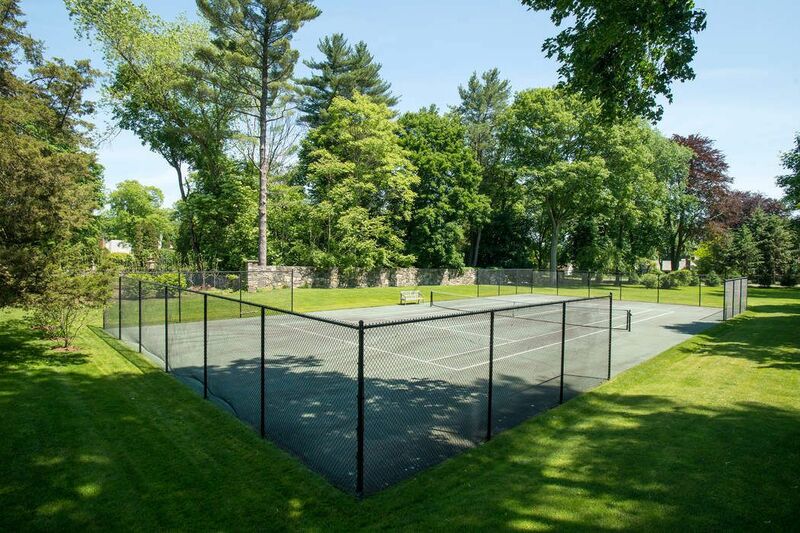 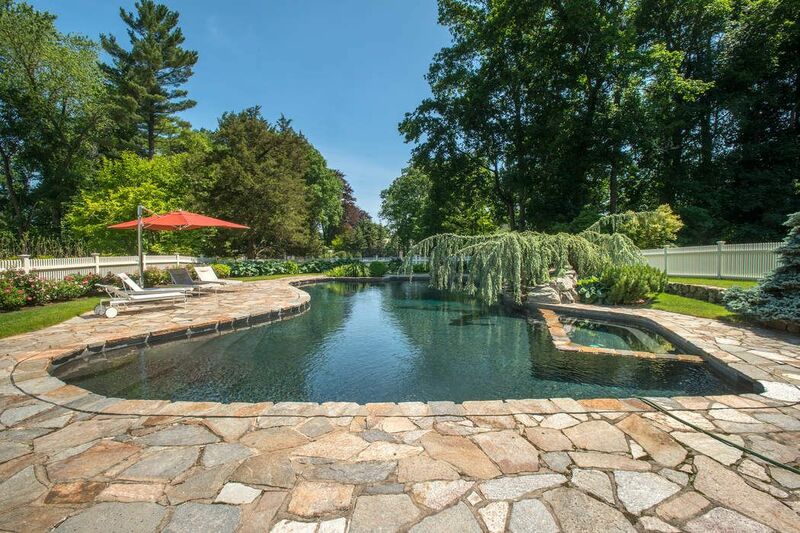 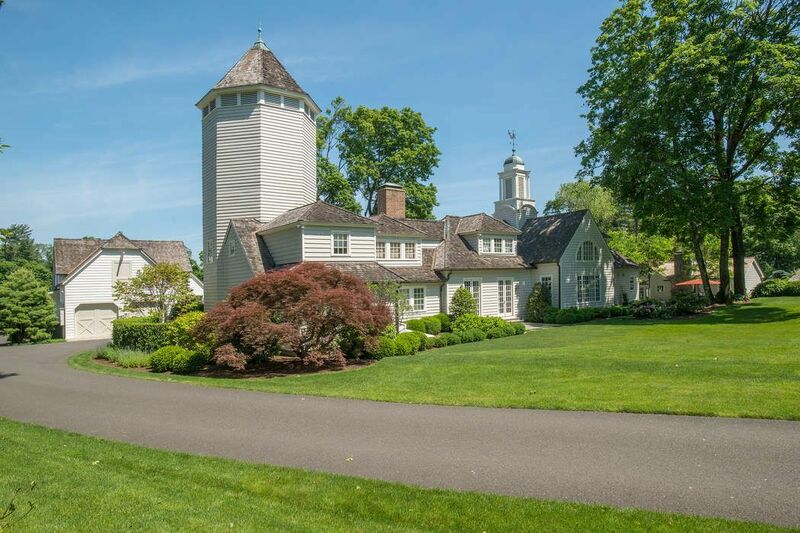 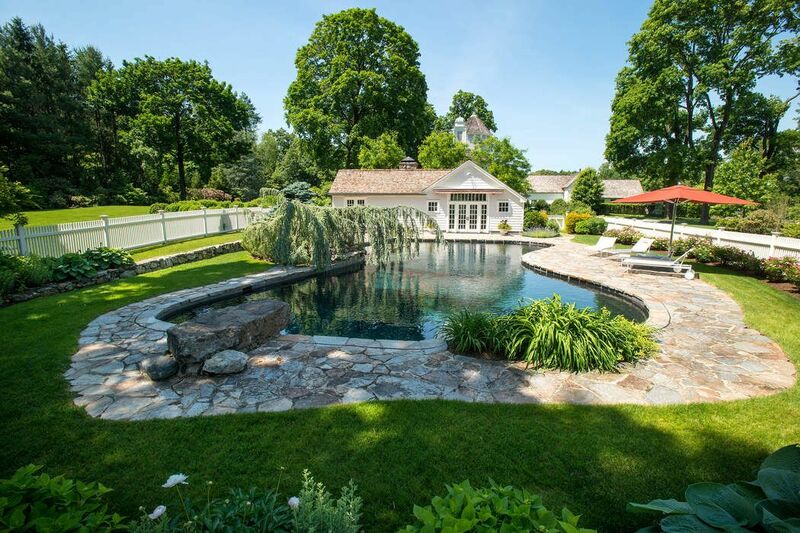 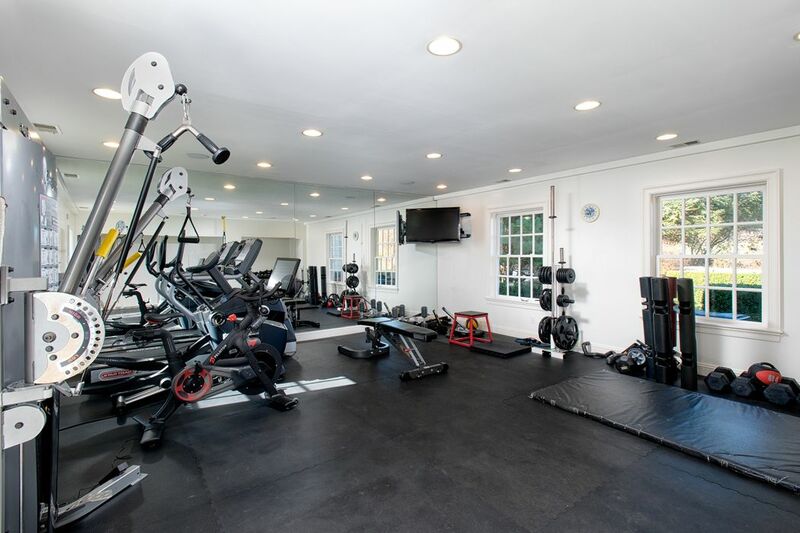 Oversized 2.53 level park-like acres with large pool and spa, pool house with kitchenette and bath, all weather tennis court, wine cellar grotto and a separate detached three car garage with storage, two horse stalls and an exercise room. 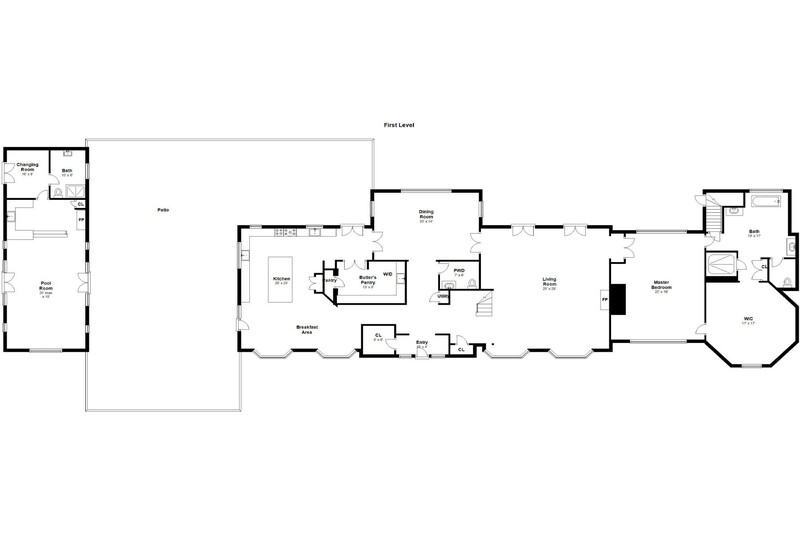 Foyer opens to formal living room with fireplace and a formal dining room, both with French doors to expansive bluestone terraces. 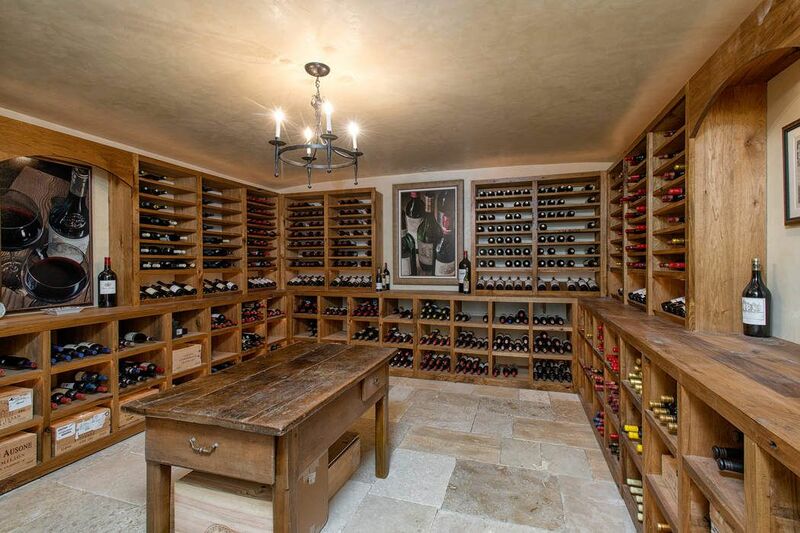 Butler’s pantry with wine refrigerator. 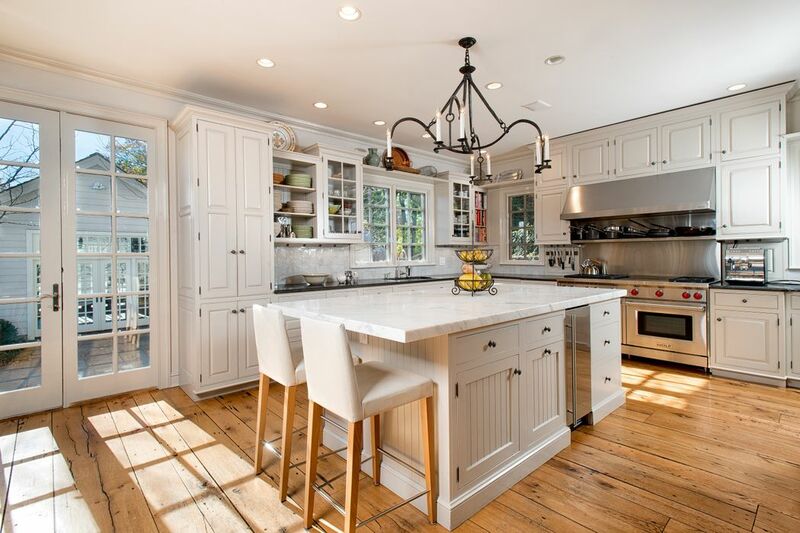 Chef’s kitchen with high-end appliances includes an informal dining area and casual sitting area. 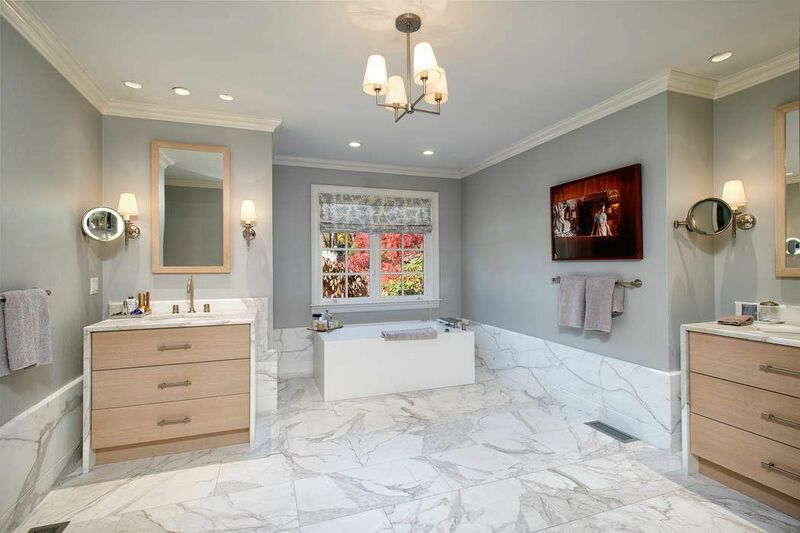 Stunning Master Suite on ground floor with stylish bathroom and generous closet/dressing room. 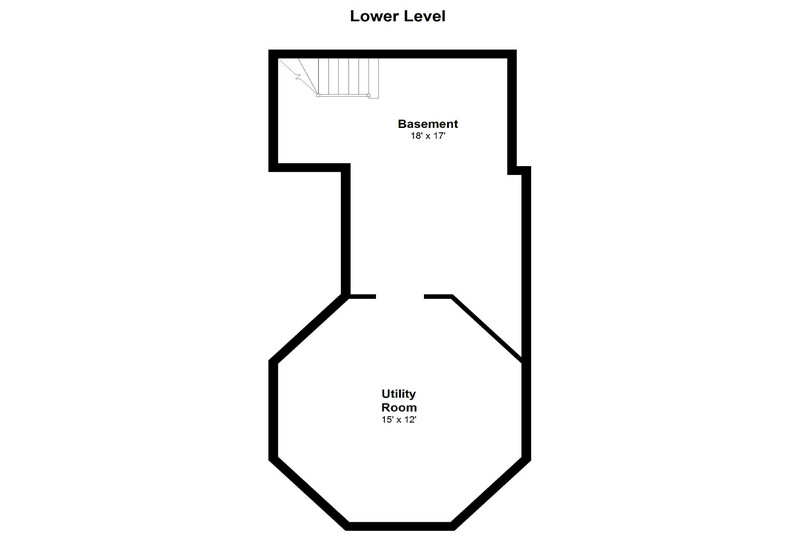 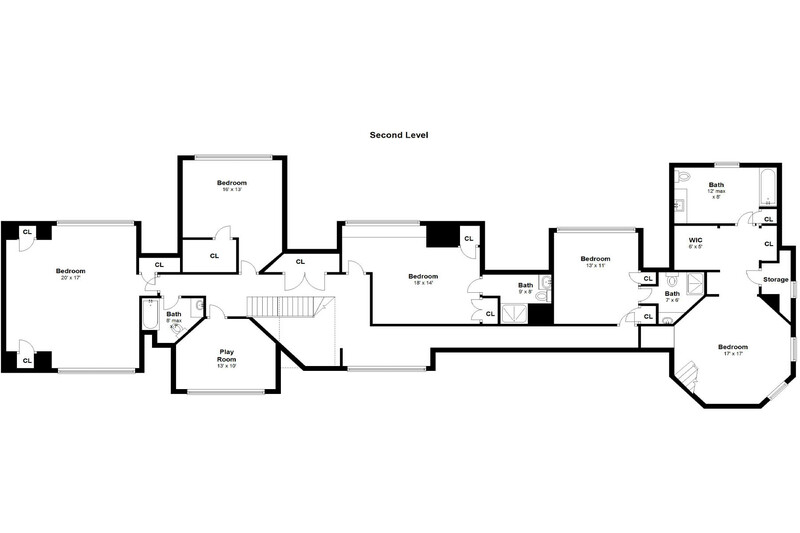 Five additional bedrooms with four baths and a sitting room complete the second floor. 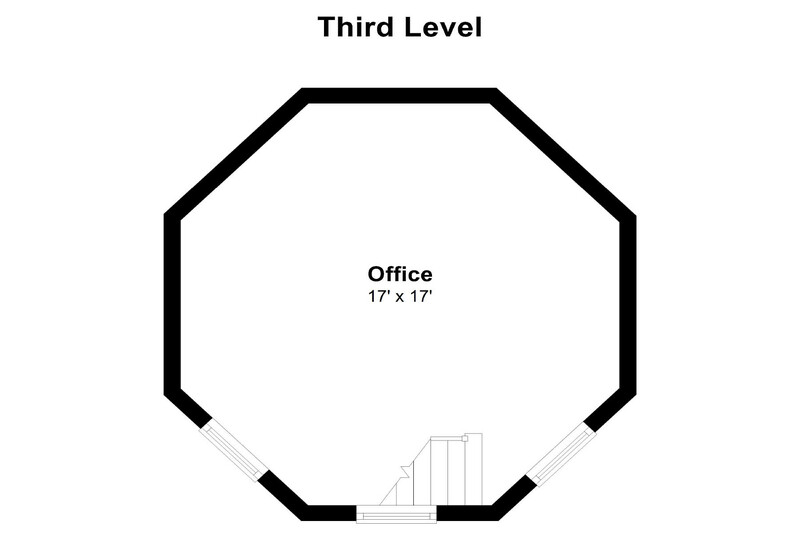 Third floor features a private office located in the turret. 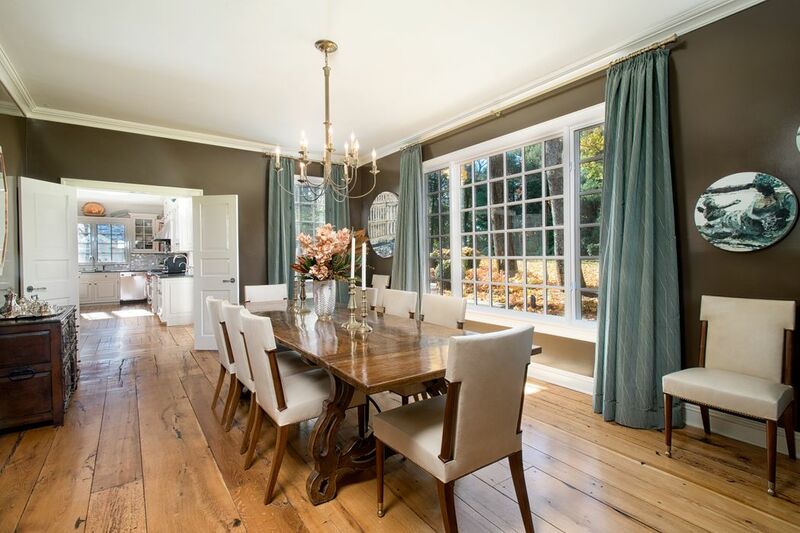 Attractive millwork, wide board antique wood flooring, high ceilings and oversized windows throughout create a one of a kind residence. 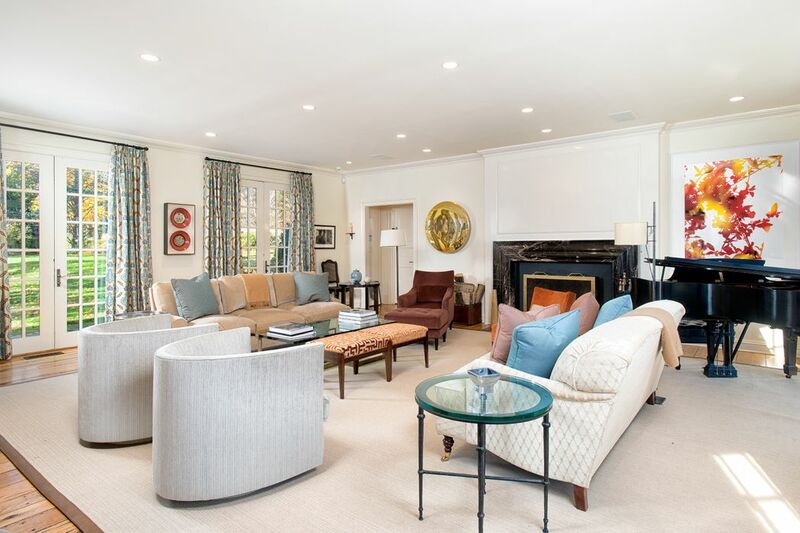 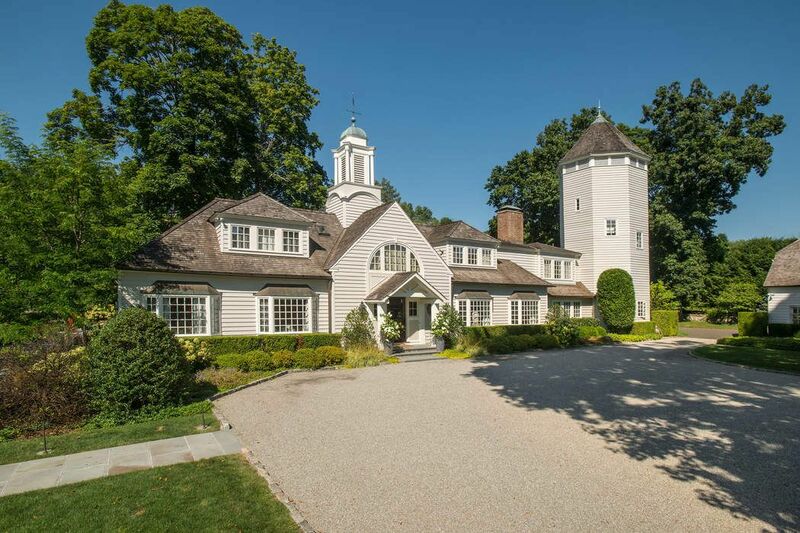 Greenwich Time, "Warmth, charm and understated elegance' at storied home"